Healthy stuff to read while you are pretending to work! We are sure you’ll love these 12 fitness and health blogs too. Why we love it: This blog has gotten tons of coverage over the last few months, not only because lots of followers can relate, but also because it filled with tons of useful information. Steve, who founded the blog, has the goal of “helping jockeys, ners, and average Joes level up their lives.” He believes that small changes can eventually add up to huge results. And we believe him. His blog has a combination of fitness tips and routines, diet and cooking information, and helps you to get into the right mindset. Why you’ll love it: Whether or not you consider yourself a nerd, Nerd Fitness is a great blog if you have had trouble getting into shape your whole life and you want the proven tools to help you get there. Why we love it: While it is not the most attractive blog, it is full of all sorts of information to get you and keep you into shape, from everything to products, to news, to workouts and to videos. There is also a forum where followers stay active to ask and answer common and not-so-common fitness questions. Why you’ll love it: If you are a serious fitness buff, you will find tons of tools and discussions to keep you informed and up-to-date with the latest tools and fitness information. The best part is that if focuses on all kinds of exercises, from Gymnastics to Kettlebells to Beginner Workout and even “Mommy workouts”. Why we love it: The Daily Burn has a range of tips and workouts to fit your weight loss goals. It is a platform with a range of workouts to fit your liking, including, cardio, yoga and strength-training. Our favorite is the DailyBurn workouts section that has tons of new workouts for you to try to improve not only your fitness but also your technique. Their lifestyle section gives you information about healthy sleep habits, ensuring mental health and managing stress. Also check out their recipes section for healthy, vegan and gluten-free options. Why you’ll love it: If you are already someone who is self-motivated to stay fit and are looking for a good resource to improve your skills and keep your workouts interesting, this is a great blog for you. Why we love it: These founders know that finding the time and energy to start and maintain a workout routine while being a mom can be difficult. Here, moms can find great resources, tips and fun articles on how to get in your daily workout in between cooking for their kids, work, and running a household. There is also a section on great stuff to assist you with your workouts and recovery. Why you’ll love it: This is one of the best online fitness resources for moms who know how important it is to stay fit and healthy but are also juggling a million things at once. This blog reminds you that you are not alone and that it is possible! Why we love it: We know that everything posted on this blog is backed up by research, tests and proof of what works and why. It tells you about personal and small group training, nutrition tips, the importance of the mind-body connection and has tons of information about behavior change, motivation and communication. It also gives you great information about new research communicated in an easy-to-understand way. Why you’ll love it: If you are serious about fitness (and have even considered becoming a certified fitness or health trainer) this blog is a great resource for you to keep up to date on the latest research and techniques to ensure effective training. Why we love it: Powercakes is a blog founded by Kasey, a certified personal trainer. She believes in always doing what is best for your own body and that there is no one-size fits all solution to getting fit. Kasey blogs about food, including some yummy recipes, fitness tips, inspirational posts, and also does some helpful product reviews. Why you’ll love it: If you see fitness and health as part of a lifestyle, but get frustrated by resources that tell you to train like that is all that you can do all day, following Kasey’s blog can help you keep fit for your own body. Why we love it: The intense workouts really WORK on this blog, for both men and women. Their workouts include warm-up and cool down routines, stretching and flexibility, workouts for all levels, and some great challenges if you are an experiences workout buff. It also has fashion, beauty and nutrition sections that gives you some recipes for some homemade beauty products. It’s catchline is “Mind, body & soul. Creative approach to unit training fitness, alternative health & beauty,” which really describes the wide range of content offered. Why you’ll love it: This is a great blog for people who see fitness beyond just working out, as a whole body training from the inside and out. Why we love it: Summer Tomato, founded by Darya Rose, focuses on the food and habit side of fitness, a perfect complement to your daily workout in order to achieve holistic health. The health section talks about many components in food that can improve your overall health and how you can get more of them. The habits section helps you understand why habits are hard to break and gives you tips on how to start healthy habits and stay on them. The food section has an array of great recipes and the weight control section gives you tips and motivation on how to control cravings, eat healthy while still feeling full, and more. Why you’ll love it: If you are looking for fitness blogs not just to stay fit but also to lose weight and change habits, this is a great resource for you in order to stay motivated and on-track. Why we love it: For a no-fuss blog with a mix of articles on fitness and health tips, this is a great resource. If you are looking for an interesting read about something that you might not have thought about with regards to staying fit, this is a great resource. These articles are definitely shareable and helpful! Why you’ll love it: This is a great complement to the fitness and health blogs you already follow to boost your knowledge and get tips on how to fit in exercise, no matter how busy you are. Why we love it: This website offers a wide range of articles for all interests: from tips on how to run your first 5k to habits that can help you get into shape quickly, to the psychology of fitness and working out. The whole website, not just the fitness section is very useful if you want to achieve a holistic lifestyle change. Why you’ll love it: The articles are fun, easy to read and practical for people of all walks of life. While it is not necessarily the place to find concrete workouts, the articles can help you get in the right mindset to get there. Why we love it: This blog written by a company that distributes exercise gear, has a range of categories to meet your fitness needs. 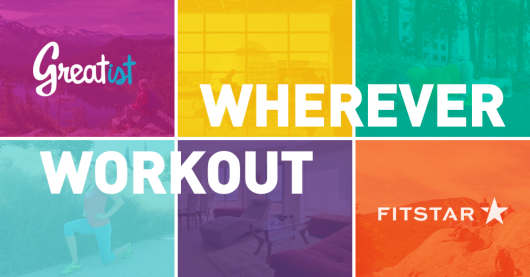 From finding a fitness advisor to chatting with a fitness community to stay active to finding events nearby that you can join, there are a variety of resources for you to take advantage of. Our favorite posts are the Fit Tips that help you to think out of the box to stay fit even when you are in a time crunch. Why you’ll love it: If you have used Life Fitness products before and are happy with their quality and results, or if you are simply looking for a resource to give you tips on keeping fit at home or at the gym, this is a great complementary resource to your regular routines. 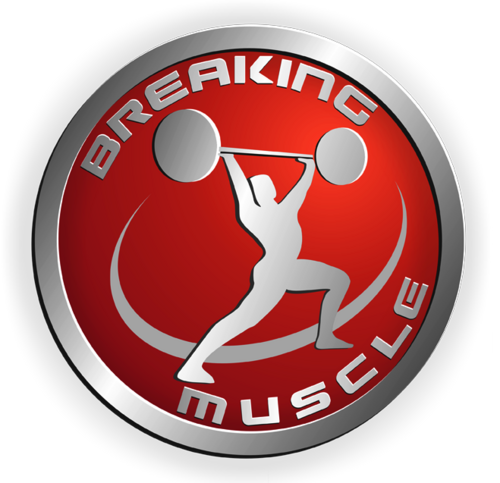 Why we love it: One of Breaking Muscle’s top fitness blogs, Science of Fitness is full of research-based information and routines that are sure to work. It talks about a range of topics that help you understand your body better and how it responds to the environment, including exercise. We also love that is summarizes published research results to help you access the information you need without having to sift through science journal articles. The videos with recipes and workouts are also very helpful. Why you’ll love it: This award-winning blog helps answer a lot of the questions you may have as a fitness buff or athlete, and Hayden-William Courtland, Ph.D., can help answer those questions and get you on a path to improve your fitness. The product recommendations are very helpful as are the seminars and training if you are looking to go beyond personal health and help others achieve health as well.